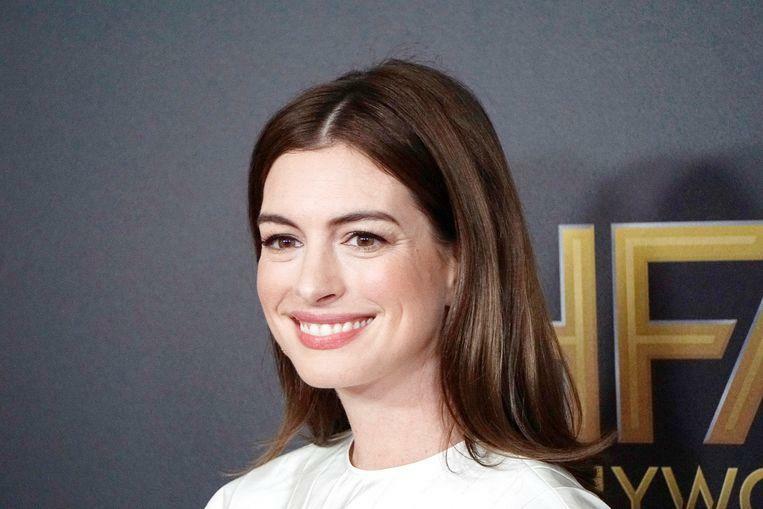 Home Showbiz Anne Hathaway will quit drinking for the next 18 years…. Anne Hathaway will quit drinking for the next 18 years…. Anne Hathaway leaves the bottle for the time being. The actress said that yesterday in the Ellen DeGeneres Show. The reasons for her to stop drinking are an out of control evening on the set and her son Jonathan (2). During the filming of the movie ‘Serenity’ it became a bit too cozy on the set at one point. “We drank the whole evening and the next day we had a meeting with our director, Steven Knight”, Anne told Ellen. “I was a little bit … did you ever go to a meeting drunk?” She asked the audience. “I came there with one eye open tripping and I tried to make him wise about my character.” Fortunately for Anne, Knight did not notice that she had too much on the night before. The actress remembered when she really got enough of it. “I dropped him off with a hangover at school and that was the drop for me, that was not nice,” she confessed. “That’s why I do not want children,” Ellen joked in her turn.